P-90s are such a wild animal; they have a primitive quality that instantly grabs you. It’s all there, raw boogie, frenzy R n’ R, smooth jazzy tones and the sweetest blues. But every story has two sides, right? They will often fight back, sometimes you have to push a little harder, it really feels like a relationship between humans and maybe this is what makes for a kind of a fatal attraction! This whole experiment came alive due to my curiosity in the way these pickups are built. So I thought I’d give them away and tried something different. One day I had them off the guitar, but not disconnected, in order to see if there were any writing on the back about their output… It was then when I started noticing a few things about the construction of the thing, removing the plastic covers, turning them upside down etc. I realized the simplicity of the design, six screws, a wire wound around them, two base plates underneath and, in between the metal plates two magnetic bars on each side… Well, seems like it’s the opposite way than humbuckers are. 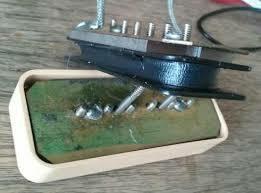 Humbuckers: two coils, one magnet bar between them, P-90s: one coil, two magnet bars underneath…two small screws keep the plates tight and the magnet bars in place. Then I wondered: why in the world do they put two bars underneath? I did a little search on the web and found out that this was the fundamental way of their construction from day one. 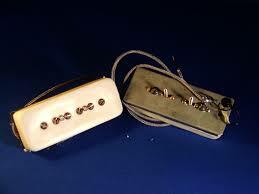 But, also found a lot of conversations between musicians about magnet swaps on P-90s. 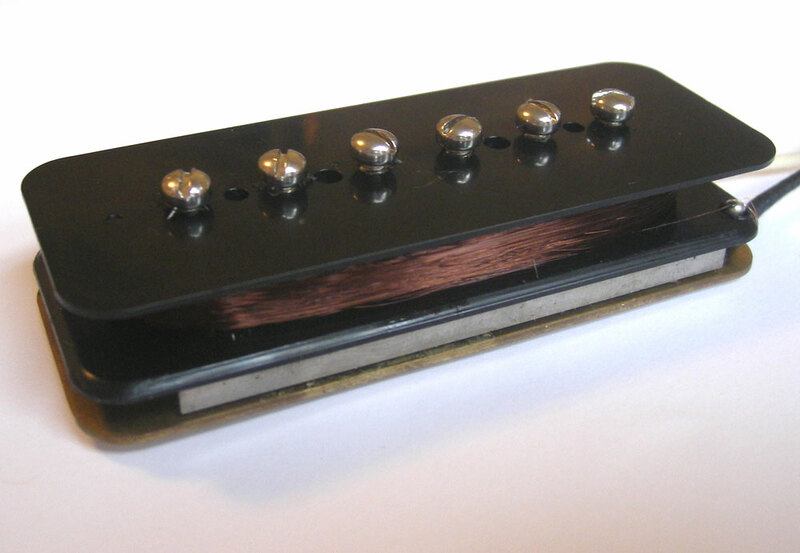 P-90s are using alnico bars (in some cases also ceramic). Most common alnicos are A2, A3, A4 and A5, each with its own strength and tonal character. They come roughcast or polished and in some variations (A5) they can be unoriented or not. It’s been said that roughcast/unoriented alnico bars are bearing a smoother tone, more organic and complex. Some general sonic info: A2=warm, middy, A3=clear, spanky, A4=flat response, A5=strong, lots of highs and bass, UNA5=between A2 and A5. I read a lot of things about long, short and degaussed magnets, vintagology, myths and facts. Indeed. Takes about 5 minutes to do the whole thing. So, I did just that on one pickup, put it back in place, plugged in and, voila! A new sound! The pickup sounded just fine with one magnet bar. Not a distinctive difference in volume (if any) but a serious one in tone. Less body, not so refined but more bite, feeling great in the hands. Exactly the way I wanted it to be! Did the same thing on the neck pickup and started to play a little more to feel the differences. I liked what I heard, but the sonic character did not change much…still a bit harsh and some strange mid/low hump but more tamed nevertheless. I remembered I had some A2 bars around, so I changed the bridge (originally degaussed A5) with an A2. Wow! What a huge difference! Now the sound was rounder, warmer but with guts at the same time…no harshness and no unpleasant hump on the low mids… I was impressed. In addition, I ordered some extra bars from the net. Over the next days, I experimented with almost any combination you can imagine. Mixing different alnicos, two bars in one pup and a single in the other, the opposite, you name it… I also found two old Gibson short ones and the whole thing turned into madness! Some combinations were compressed, others funky, some bars liked each other and some didn’t. To spice things up even more, I proceeded with experimentations with middle-position-out-of-phase tones, but for this it would take a whole other article ! In conclusion, this is was a very pleasant progress to try (at least for me), it’s fun and informative, and shows the player the expanded sonic pallet of different magnet bars. It really gives you a chance to fine-tune and personalize your sound and, without spending a fortune, practically gives you the feeling and rush of playing a new pickup. All you need is a quality basis, aka a well constructed pickup with the “right” wire and turns, to be a little careful with the screwdriver and some of your free time. These days, I use a UNA5/RCA4 combo on the neck with A2/RCA3 on the bridge. But who knows how long this will last… ain’t done just yet!! Elias Zaikos is widely considered the #1 Blues authority in Greece. He is a singer, composer, author, recording artist, but first and foremost a guitar player. He is the leader of the Blues Wire. 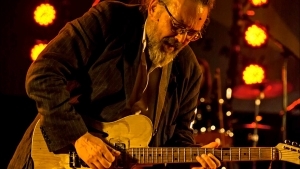 You can find his music on youtube and through www.blueswire.gr .